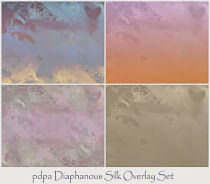 Kim Klassen has asked us to post photographs with a theme of 'pink' for her Texture Tuesday challenge this week. Well, if it is pink she wants, it is pink I will post. These images are all quite different - I would love to hear which one(s) you prefer. Woodland shot with photograph of pink glass beads superimposed. 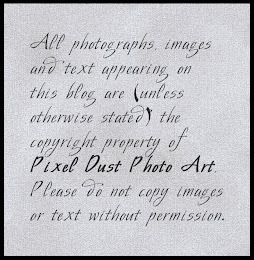 I then added a texture blended in Multiply with the opacity reduced to 75%. A levels adjustment was then made to adjust white values. 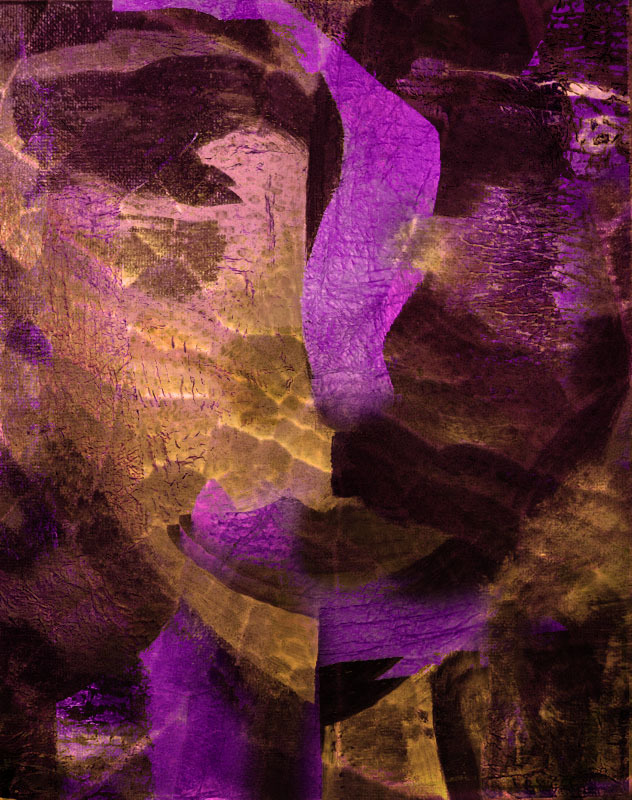 A painting of mine that has had many different makeovers using textures and filters. 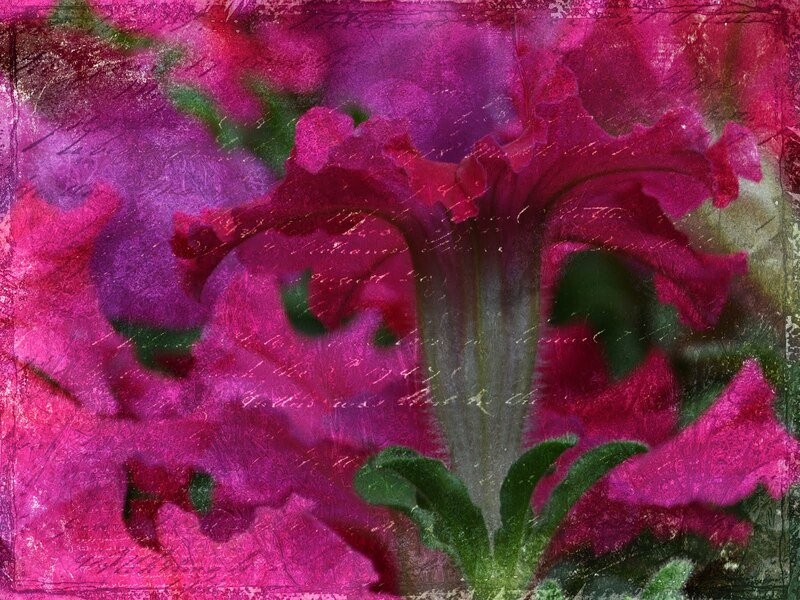 A photo of petunias with an as yet unreleased texture of mine blended in Hard Light - opacity 95%. 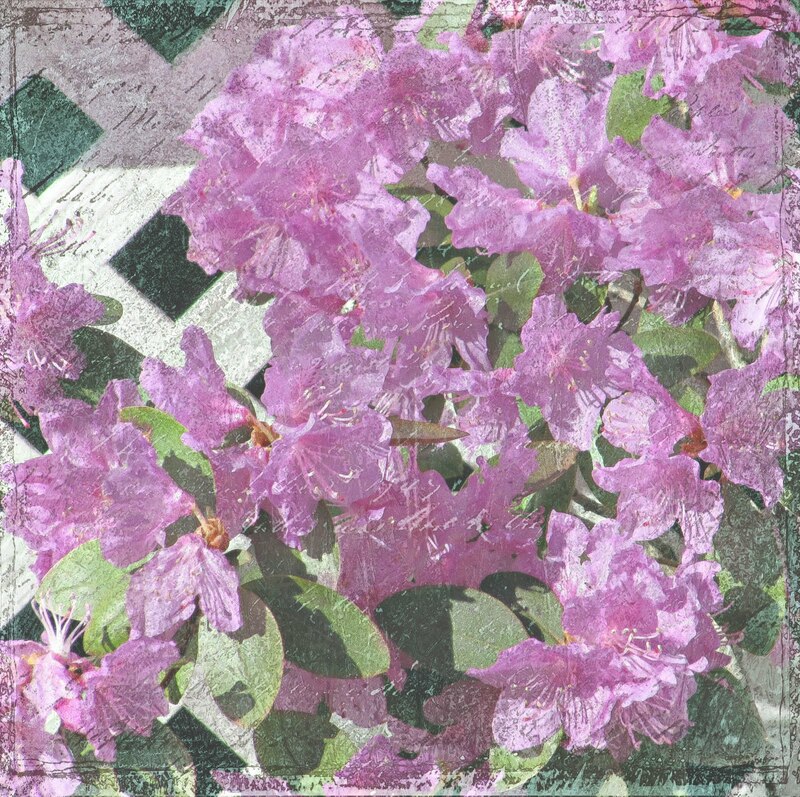 A photo of rhododendrons, with a variation of the same texture as the previous photo, blended in Screen, Opacity reduced to 45%. I believe I then added a Dry Brush Filter and a levels adjustment tweak increasing output levels to give it a desaturated look. 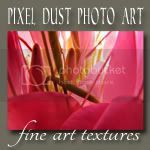 If you are into pink or textures there is still time to participate in Kim Klassen's Texture Tuesday. and pick up two - for free! All pictures are very beautiful. I love the first and the third one most ! Great work !!! That first shot is so cool - looks like a fairy garden. The first shot is so cool! Love this! i like the third photo the best. 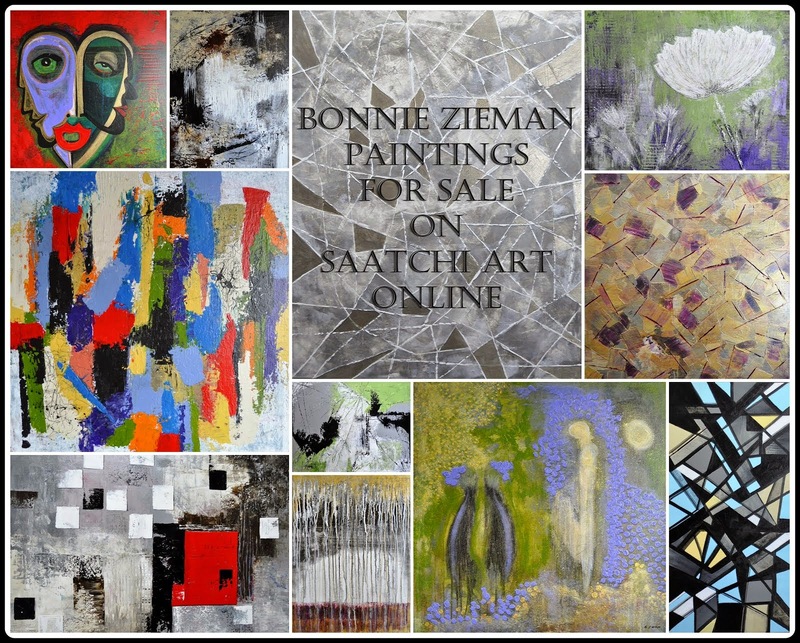 the deeply saturated colors are beautiful and the textures used lovely. These are all so wonderful! I am especially drawn to the first shot, though -- it is absolutely magical. Oh my word, Bonnie!!! Fabulous! I'm a lover of the vibrant, so I opt for the first three images. Fascinating work. that first shot is really cool. Beautiful images. My favorite is the first one, it's magical. Wow Bonnie...these are gorgeous! But if I do have to choose my favorite (hard choice), I'll have to go with the woodlands photo...it's just magical to me. PS. Thanks for leaving a comment on my Flickr post. Oh my goodness, this is a real tough choice, but I think I am going to go with the first one, quite simply because when I first saw it, the word WOW was the first thing iI thought of. Lovely shots ... love the first one! There all so unique... I love them all! But I must say, the first one in the woods had me going back and looking at it. Eye candy! I adore the petunias, though the second one has a complexity I love. I love the first shot. Are those little red ones some little flowers!?! Beautiful woods. Love the first photo, Bonnie. 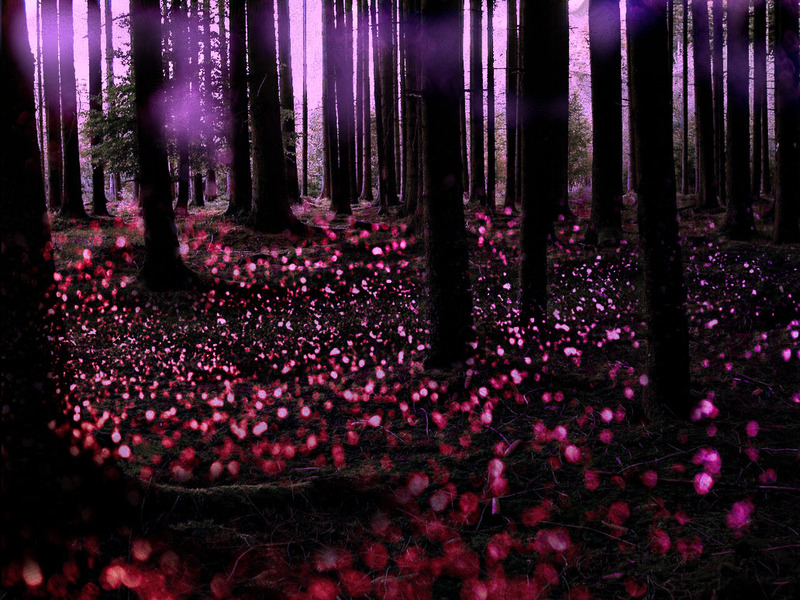 Looks like a fairy forest with rubies on the ground. :) Great work!